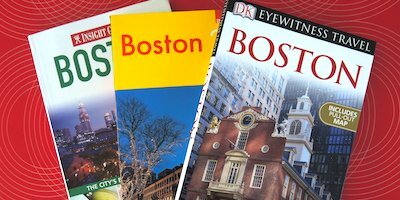 Do you have Boston travel plans and need to know what to pack? We have 4 distinct seasons ... kind of. Winter can continue into April. December is occasionally balmy. Spring doesn't always happen. Weather conditions can change in a heartbeat. Unpredictable" should be your guiding principle, even when you check the forecast right before coming. 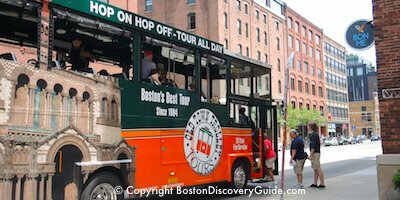 So with all that in mind, here are 10 essential tips about what to bring for your Boston vacation, plus 3 bonus tips about what to pack - and what to leave at home! 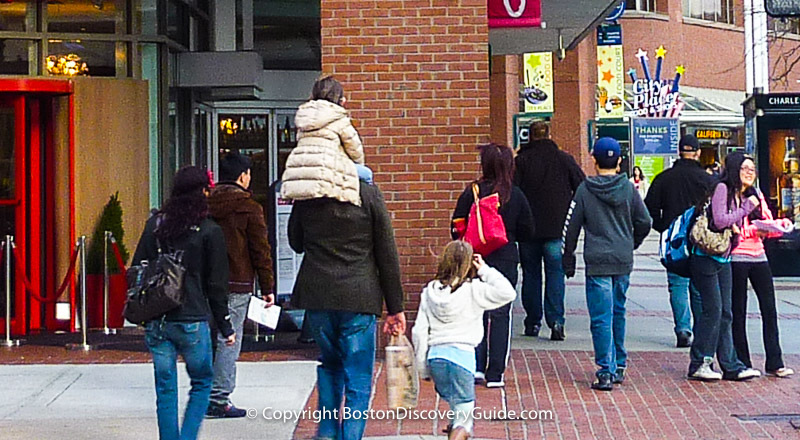 Boston is a compact, walkable city . . . and that means you'll probably be doing lots of walking. Athletic shoes and the type of sturdy outdoor shoes that you can buy at any sports clothing store or LL Bean work best when you travel to Boston. Ladies, do not try to walk around city neighborhoods in high heels, or anything similar. Leave your Louboutins at home. Cobblestones and brick sidewalks may look quaint and attractive, but they're ankle-breakers if you're wearing anything other than flat soles. If you plan to attend an event requiring dressy shoes, do what Boston locals do - bring them in a bag and change when you arrive. If you're coming in the winter, consider bringing boots. See Tip 4 below for more details. In warm weather, sandals are fine. Sturdy styles with rubber soles and closed toes (such as Keen) will give you protection from close encounters with uneven sidewalks or cobblestones. Flip-flops will not be the best choice for walking any distance. Plus our streets are not exactly clean. Bringing comfortable shoes is the #1 tip! Learn what Boston weather temperatures and conditions you can expect during your visit. Then check the Boston weather forecast before you come to get a general idea about what to pack. In a nutshell: our weather ranges from hot and steamy during the summer to frigid temperatures and piercing winds during the winter - and everything in between, including lots of bright, sunny, low humidity days year-round. Boston weather can be unpredictable. Although temperature swings of 50° or more within a few hours are not common, they can happen - and usually do happen several times each year. More likely are unseasonal events, such as a snowstorm bringing a foot of snow in October or May, a balmy 70° day in January or February, or cold, damp weather until July 4th (we are not exaggerating). And of course, the sun can shine brightly one moment and rain can pour down during the next moment. Even after checking the weather forecast, you can't be sure what to expect. A good thing to pack is a light weight canvas or cloth bag. You can throw in an umbrella in summer or gloves, indoor shoes, and earmuffs during the winter - just in case. As Tip 2 notes, Boston weather can be unpredictable and change rapidly. The best clothes to pack for Boston must provide flexibility. So, the best strategy for what to pack for changeable weather is to think in layers. Bring shirts, sweaters, vests, and jackets to layer according to how warm or cool you need to be. Ideally, at least one of these layers should be waterproof. In the winter, consider bringing long underwear, no matter how dorky it seems, especially if you plan to wear skinny jeans or leggings. Fleece is good. Trust us, you'll be happy to have a second layer. In the summer, pare down as much as possible, and remember that loose clothing made from 100% cotton will feel much better than skin-tight nylon attire. If you're coming to Boston in the winter and expect to be outside walking around for more than a few minutes, you will need winter clothing: a warm coat, gloves, hat, scarf, and heavy socks. Pack sturdy, waterproof shoes or boots with heavy soles to insulate your feet from the cold pavement or an accidental step into icy, salt-infused slush. In case you're thinking that "winter" ends sometime in February, be advised that March can also be cold, windy, and nasty, even though some days may be warm and balmy. Sometimes April feels frigid. During most winter-like months, you can probably get away with layers rather than a heavy coat - especially if one layer is Polartec or some other type of high-quality fleece. But if you are coming in January or February, a puffer jacket or coat (those down-filled garments that make you look like you're wearing a sleeping bag) can be your best friend. Rain can (and does) fall in Boston during every season throughout the year, although during winter months, precipitation may be in the form of snow or sleet rather than rain. Either pack an umbrella or be prepared to buy one if needed. Lightweight "travel" umbrellas are fine unless we have a nor'easter - but if that happens, you'll get wet whatever you carry because of the wind. You can usually find inexpensive umbrellas for sale at drugstores, small groceries, and "convenience" (meaning they sell all types of items) stores in all Boston neighborhoods. If you are downtown, you can find umbrellas in Chinatown for as little as $5, and about $10 in other neighborhoods. Tip 6: Should You Pack a Swimsuit? Yes, if your hotel has a pool or if you're planning a side trip to one of the Boston beaches or the Cape. Keep in mind that most of our historic and boutique hotels do not have indoor pools, and relatively few have outdoor pools (find out which ones do), so if in doubt, check with your hotel. Many Boston hotels have nice fitness rooms. You also may want to enjoy a run along the Boston Esplanade or Harborwalk, especially if you're visiting during warmer months - so add workout clothes, such as a pair of jogging shorts, running shoes, and a cotton t-shirt to your bag. Bring sunglasses and sunblock, especially if a Boston cruise is part of your plans. If you have room in your bag, consider bringing a sun visor or hat. Boston locals generally dress fairly conservatively. If you are coming for business, want to blend in, and are wondering what to pack, bring normal business clothes in subdued, neutral colors such as black, navy, tan, cream, taupe, and gray. If you're coming for vacation, bring comfortable, casual clothing such as nice t-shirts and well-fitting jeans (avoid baggy jeans, sweats, or shorts unless you're doing something athletic, such as sailing or jogging). Leggings are popular (although keep the spandex in the gym). Black is the dominant clothing color here throughout the year. Boston nightlife rocks, with plenty of dance clubs, places to hear live music, socialize, and relax. Some clubs have strict rules forbidding jeans, athletic wear, t-shirts, and more. Others are more casual. Bars usually allow anything. If you're concerned that you haven't brought the right outfit for clubbing, head over to H&M (100 Newbury St in Back Bay, Cambridgeside Galleria in Cambridge) for emergency shopping. H&M features trendy styles at cheap prices - usually $40 or less per item. If you want additional choices, head to the outlet stores at Assembly Row. 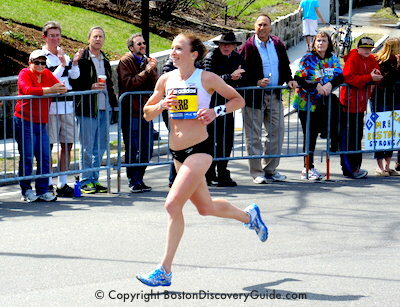 Follow the general Boston rule - when in doubt, wear black - but for a club, make it skimpy. 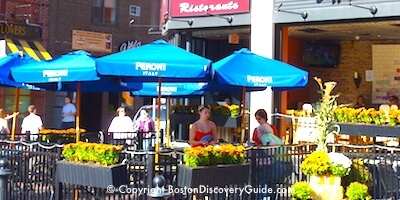 Most Boston restaurants are fairly casual. You'll want to dress up for some of the fancier ones, such as Top of the Hub, even when there's no formal dress code. Business casual or casual chic works well. When in doubt, a jacket and/or tie is fine for men. For women, anything black works well; if what you have packed doesn't seem dressy enough, top it off with an attractive shawl or wrap. As for theater and classical concerts, you'll see everything from very casual (jeans and t-shirts) to very dressy (semi-formal, jewels). Due to the city's large student population, attire skews strongly toward the casual end of the spectrum. Again, black is always safe. Be aware that on winter nights when snow is falling, most locals will look like they stepped out of an LL Bean catalog from a couple of decades ago, even at venues such as Symphony Hall. Bonus Tip 1: Should You Bring Sports Gear? Absolutely! But . . . only if it's for Boston teams. Do not pack or wear sports gear for to non-Boston teams. We take Boston sports very seriously here. If you want to blend in, wear a Red Sox hat or a Bruins hoodie. Wearing green in honor of the Celtics also works. Patriots gear is always in, especially vintage jackets. Otherwise, just wear normal clothes. Leave stuff supporting non-Boston teams at home. It will not be welcome here. Seriously. Bonus Tip 2: Still Not Sure What to Pack? When in doubt, pack black. So why does packing light matter? Although a cab, Uber, or rental car will get you to your hotel door, taking a water taxi or the T means you'll need to walk from the pier or the station to your hotel. Even though Boston is compact, you'll be much happier doing this if you have only one non-enormous bag - and make sure it has wheels! A 4-wheel spinner bag will be your best bet for cobblestone surfaces. Book a Cheap Flight - See how much you can save!